WOW…just an exciting week-end all around after I got some great news Friday. 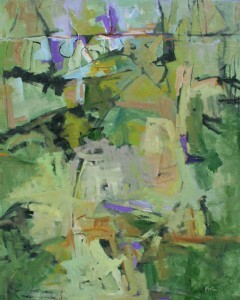 One of my paintings is a finalist in the 2011 Hunting Art Prize. Although there is a little controversy in the art world about this competition and how they choose the artists (isn’t there always?? )…I am proud to be one of the 113 chosen. The winner will be disclosed at the Gala in Houston on April 30. The painting I entered is Green Day, Johnson Creek…….60 x 48 inches, acrylic on canvas. It was painted September/October 2010. Congratulations, Cheryl. Hope you win the big prize! thanks, Gwen….. I am not spending the money yet. Ha Ha. I will go to the gala to see the whole process though.